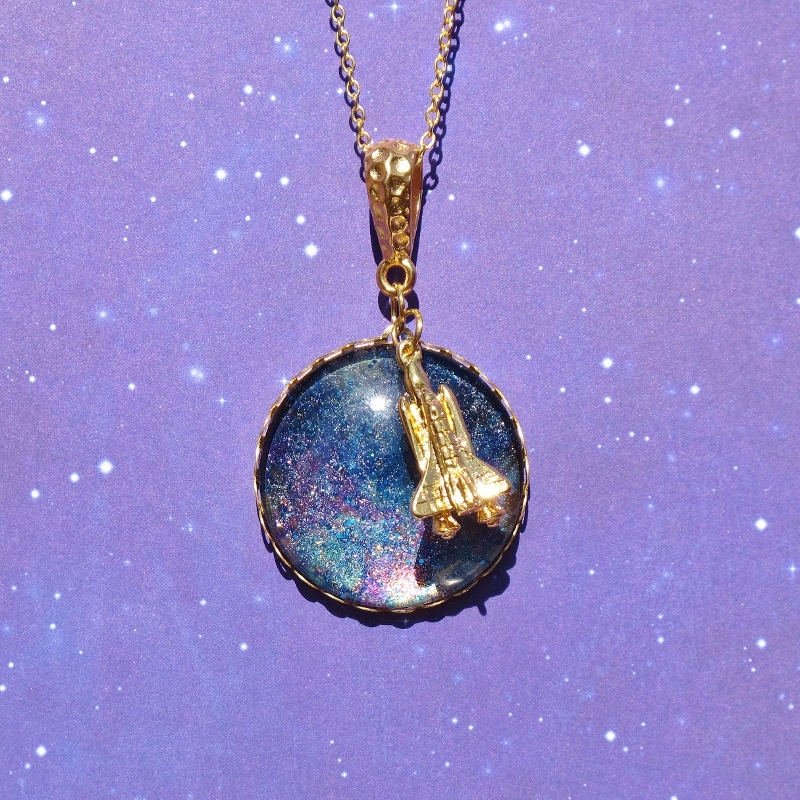 From Venus to Saturn, Mecury to Mars, there’s only one way to travel and that’s in style! Feel like an inter-galactic icon in this space themed necklace and make all your travels rocket fuled with fun. #OneSmallStepForMan #OneStilletoedLeapForMankind! 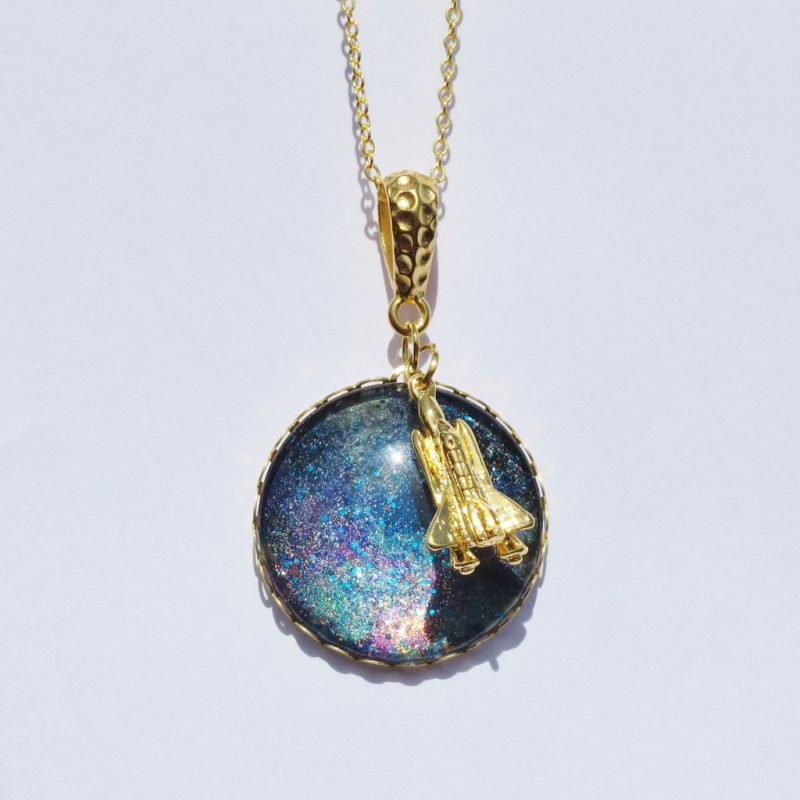 Glass galaxy cabochon 30mm, gold tone space rocket, 18 inch gold plated chain. 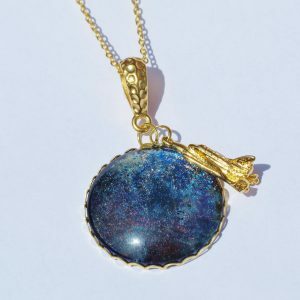 Each glass cabochon is handcrafted and unique and might differ slightly to the image. 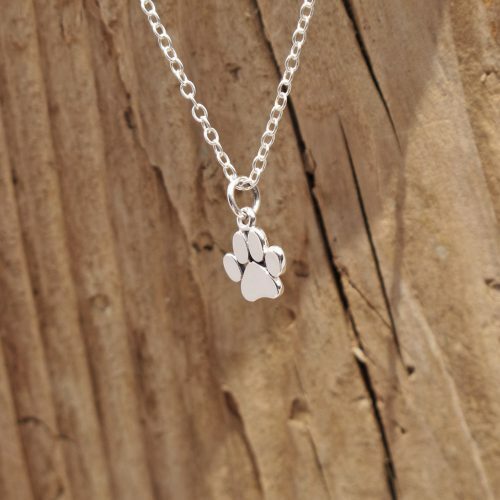 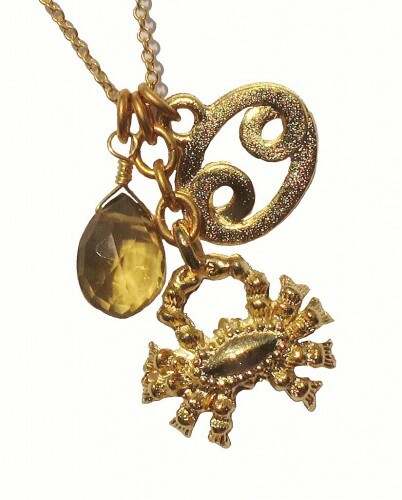 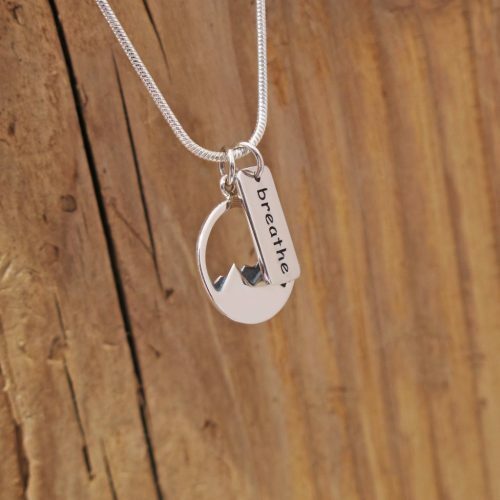 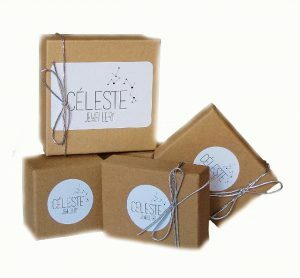 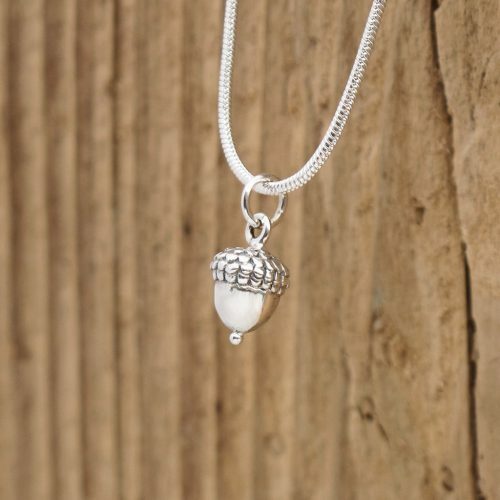 Your necklace will be presented in a branded Celeste gift box.